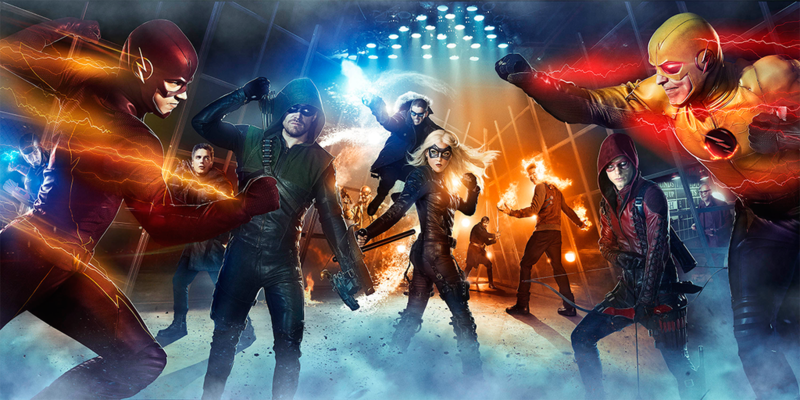 Arrow/The Flash - Full Superhero Fight Club Key Art. . HD Wallpaper and background images in the The Flash (CW) club tagged: photo cw the flash arrow superhero fight club key art. 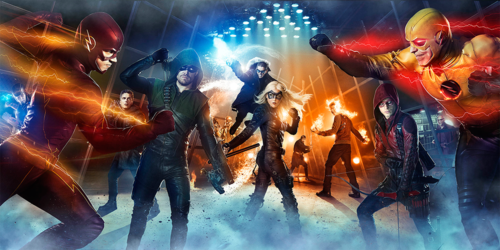 This The Flash (CW) photo contains konzert. There might also be gitarrist.